LYNCHBURG, Va. – The Liberty swimming & diving team will ring in the New Year in Fort Myers, Fla., for the ninth straight year, competing in the FGCU Duals on Saturday at 11 a.m. at FGCU Aquatics Complex. This weekend’s meet will feature the top two programs in the CCSA, Liberty and four-time defending conference champion FGCU. A pair of MAC teams will also compete, in Bowling Green and Buffalo. So far this season, Liberty is a perfect 8-0 in dual meets, including CCSA wins over Campbell and Gardner-Webb and victories over non-conference foes BYU, James Madison, Marshall (twice), New Mexico State and Old Dominion. 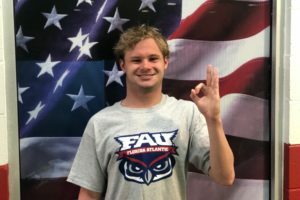 Three Liberty athletic teams will be competing at FGCU on Saturday, as Liberty’s men’s and women’s basketball teams will be playing their first-ever ASUN Conference games at FGCU’s Alico Arena on Saturday evening. This is the second time in program history that two different Liberty divers have earned CCSA Diver of the Week in the same season. The first was 2015-16, when both Brooke Fox and Courtney Fox were named Diver of the Week. • Liberty placed second at its inaugural home invitational, which wrapped up on Nov. 18, winning six individual events in the process. • The Lady Flames have won 16 dual meets in a row, dating back to the Gardner-Webb Tri Meet on Oct. 27, 2017. • The Lady Flames have won the three-meter diving event each of the last three times it has been contested in dual-meet action, the first three diving wins in program history. • Liberty was impressive in its home debut, sweeping BYU, Gardner-Webb and Old Dominion during the All-American Celebration Meet, Oct. 26-27 at the Liberty Natatorium. It marked the first time in Liberty Athletics history to host BYU in any sport. • Liberty has finished second at the CCSA Swimming & Diving Championships six times in the last seven years, with its lone CCSA title to date coming in 2014. • Ninth-year Head Coach Jake Shellenberger has led the Lady Flames from the program’s inception. He has posted a 92-30 dual-meet record, twice being named CCSA Women’s Swimming Coach of the Year. His teams have gone 49-14 all-time against CCSA competition. 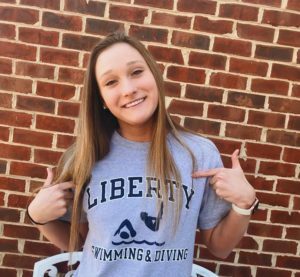 • Liberty has added its largest incoming class since the first year of the program, bringing in 14 new student-athletes (10 swimmers, four divers). 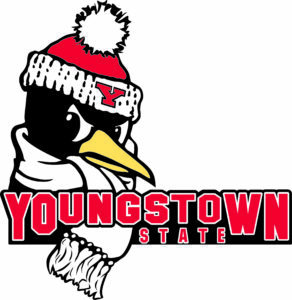 This includes 11 freshmen, along with transfers Mikayla Herich (Ohio), Emily Zimcosky (Ohio) and Arielle Arnett (Oakland). • Five Lady Flames earned CSCAA Scholar All-America honors last season. Alicia Finnigan and Payton Keiner were named to the first team, while Hannah Baker, Kiah Francis and Brittany Weiss received honorable mention. • Eight current Lady Flames have posted CCSA podium finishes in their career, led by Alicia Finnigan with seven. Hannah Baker has earned three top-three finishes, while Brittany Weiss and Payton Keiner have two podium finishes each. Lindsey Cohee, Colleen Donlin, Kiah Francis and Emily Manly have each posted one podium finish. • Freshman Lauren Chennault earned victory in three-meter diving at Marshall on Nov. 10. Her score of 287.55 set a new program record and also earned her a spot at the 2019 NCAA Zone Diving Meet. She then scored a Zone-qualifying 282.75 to win a one-meter competition on Nov. 16 at the Liberty Invitational. • Freshman Olivia Robinson won the three-meter diving event at the All-American Celebration Meet, the first Lady Flame to win a diving event at a dual meet. Robinson has qualified for the NCAA Zone Qualifying Meet on all three boards, including a program-record score of 229.58 on platform on Nov. 18. • Redshirt sophomore Mikayla Herich won the 1650 freestyle in 16:50.16 at the Liberty Invitational, the fourth-fastest time in program history. She leads the CCSA in the both the 1000 (10:06.54) and 1650 freestyle this year. Mikayla Herich ranks fifth in program history with her 17:02.20 at the Liberty Invitational. 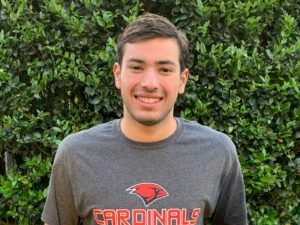 • Freshman Gianni Pitto has won an impressive 13 individual events so far this season, winning the 100 breaststroke five times, the 200 breaststroke four times and claiming the 400 IM four times. Her conference-leading 400 IM time of 4:21.76 is ranked third on Liberty’s program all-time top 10 list in the event. • Junior Brittany Weiss won the 100 backstroke in 11 straight meets before placing second at the All-American Celebration meet with a 55.42. She placed second in the 200 IM in 2:02.79 at the Liberty Invitational, moving into fifth place in program history in the event. • Junior Colleen Donlin has won the 50 freestyle in each of Liberty’s last seven dual meets, a streak that started on Jan. 20, 2018. • Defending CCSA Women’s Swimmer of the Year Alicia Finnigan has won the 200 fly in all four traditional dual meets this season, and claimed first at the Liberty Invitational with an NCAA B cut time of 1:56.33. Finnigan is second on the team with 11 individual-event victories this season. She won the 100 fly at the Liberty Invitational in 53.91. 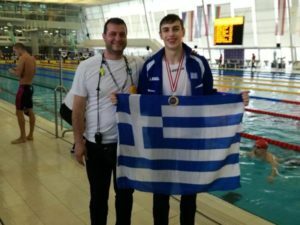 • Finnigan earned a spot at the 2020 U.S. Olympic Team Trials, finishing fifth in the 200 meter butterfly at the 2018 USA Swimming Winter National Championships. She was one of a program-record four Lady Flames in the meet, joined by Lindsey Cohee (200 fly), Payton Keiner (200 back) and Gianni Pitto (200 breaststroke). • Sophomore Payton Keiner swam 1:59.88 in the 200 backstroke at the All-American Celebration Meet, becoming the first Liberty swimmer to break 2:00 in the 200 back in a regular-season meet. • Keiner returns after earning 2018 Most Outstanding Freshman of the CCSA Meet honors. 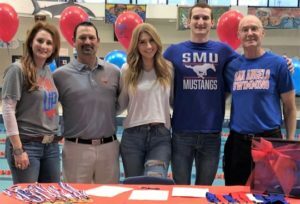 She won the 200 back and finished second in the 100 back at the CCSA Championships, and went on to compete in both events at the NCAA national meet. She holds the CCSA record in the 200 back (1:53.68). • Three Liberty newcomers, transfer Mikayla Herich (1000 free) and freshmen Gianni Pitto (100 breaststroke, 200 breaststroke, 400 IM) and Emma Hazel (200 back), won in their Liberty debut at Campbell. Fellow newcomers, transfers Emily Zimcosky (Ohio) and Arielle Arnett (Oakland), earned their first victories as Lady Flames at New Mexico State. • Senior Alicia Finnigan was named the NCAA ELITE 90 Award winner for having the top GPA at the 2018 NCAA Division I Women’s Swimming & Diving Championships. Finnigan also earned Google Cloud At-Large Academic All-America second team honors. • Finnigan won the 200 fly at the CCSA Championships for the second year in a row before making her second straight appearance at the NCAA Championships. • Weiss repeated as CCSA champion in the 100 back last season, winning in program-record 52.81. She was named the 2017 Most Outstanding Freshman of the CCSA Meet. • Sophomore Kiah Francis set the program 400 IM record at 4:18.70, taking second in the event at the 2018 CCSA meet. 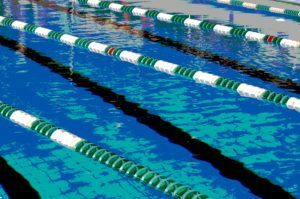 • Liberty and Florida Gulf Coast have combined to win the last 10 CCSA Championships. In 2014, the Lady Flames edged the Eagles 732.5-718.5 to snap FGCU’s five-year run and claim their first CCSA championship in program history. FGCU and Liberty finished first and second, in that order, in 2012, 2013, 2015, 2016, 2017 and 2018. • FGCU is 39-1 all-time in CCSA dual meets, with its lone league loss coming at Georgia Southern, Jan. 19, 2008. Liberty is on an 11-dual-meet winning streak versus CCSA teams, since falling at FGCU on Jan. 7, 2017. The Lady Flames will be looking for their first dual-meet win over FGCU in program history, going 0-6 against the Eagles. • Liberty will be facing MAC opponents for the first time in program history. • Buffalo placed third with 573 points at the 2018 MAC Swimming & Diving Championships, while Bowling Green finished fifth with 333 points. • This weekend’s meet features the CCSA record holders in the 200 backstroke (Liberty’s Payton Keiner) and 200 butterfly (FGCU’s Christina Kaas Elmgreen). Current Buffalo junior Katelyn Burns is the younger sister of Buffalo graduate Megan Burns, who holds the MAC records in both the 50 free and 100 free. 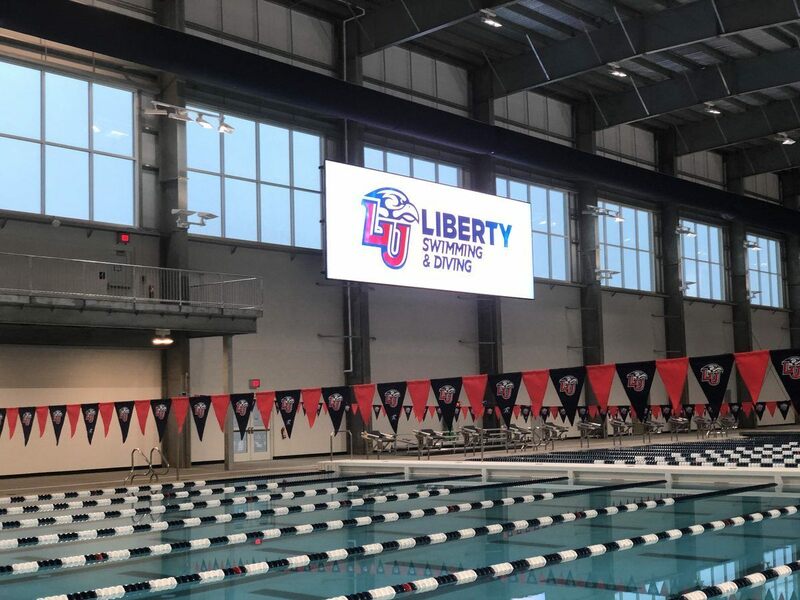 Liberty will split its squad on Jan. 19, with the swimmers competing at UNC Asheville and the divers participating in a meet at Georgia Southern. Both of those Jan. 19 meets will begin at 11 a.m.